The attractions in Andros are remarkably significant and attracts thousands of visitors to the island. The island counts many museums, castles, towers, lighthouses and monuments of exceptional beauty and historical value. It even has a cave! Attractions in Andros spread throughout the island. A long drive will prove this. Each one of them has its own story. Other short but significant and other stories and legends lost back in time. Stories worth listening to when you visit them. Some of the major attractions in Andros are the museums. The island has two exceptionally archaeological museums. The one of Chora, the capital of Andros and Paleopolis, the ancient capital of the island. 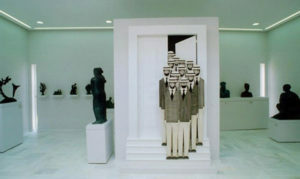 The famous Museum of Contemporary Art is hosting world art exhibitions. 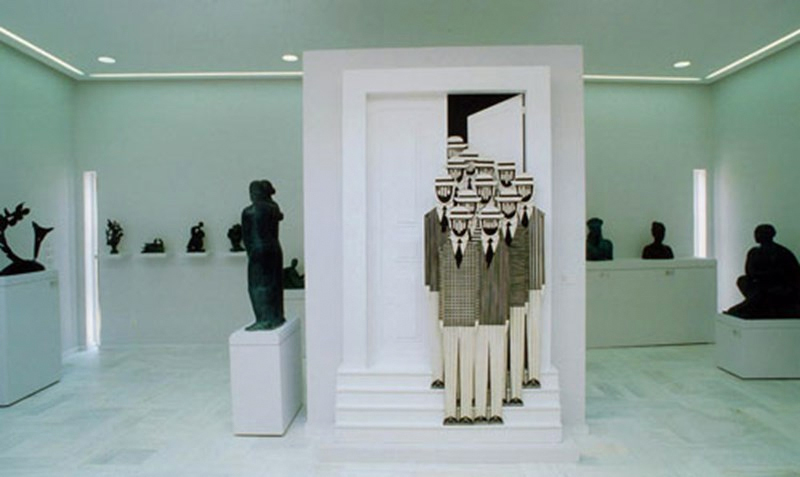 The Kydonieos Foundation, which focuses on visual arts, plastic arts, music, theatre, literature and dance. The Kairios library with more than 85,000 titles of rare old and rare editions. It also has the Cyclades Olive Museum, representative sample of animal-powered olive oil production technology. In Andros, there is Strofilas, the most ancient city in Europe dating back to 4,500 BC and the Castle of Faneromeni, the most extensive medieval town of Andros. St. Peter's Tower, one of the best preserved in the Cyclades, and the Cave of Foros one of the first ones discovered in Greece. The Unknown Sailor statue, work of Michael Tobros in honour of seamen not returned to Andros. The Tourlitis Lighthouse unique in Europe, built on a rock in the sea and the first automatic in Greece, the island's trademark. The Archaeological Museum of Andros houses findings brought to light by archaeological excavations on the island. 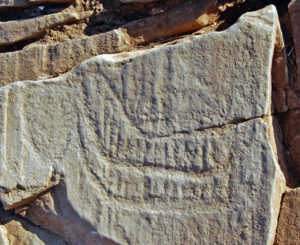 It was the largest medieval city of Andros, but signs of fortification from the Roman period have also been found. The need for housing and presenting sculptures that Michael Tombros bequeathed to his birthplace created the Contemporary Art Museum. The Kairios Library has taken its name from Theophilos Kairis, one of the most important intellectuals of the Greek revolution of 1821. 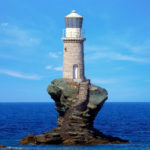 The Kydonieos Foundation is an organisation aiming to operate as a cultural and intellectual centre in Andros. It retains all of its equipment and travels you to the pre-industrial technology of olive oil production facilities. At the Palaeopolis Archaeological Museum, you will admire jars, tools, statuettes, jewellery, coins, sculptures and inscriptions. Its preserved height and its complex structure make it a unique monument of its kind and one of the best maintained Cyclades. 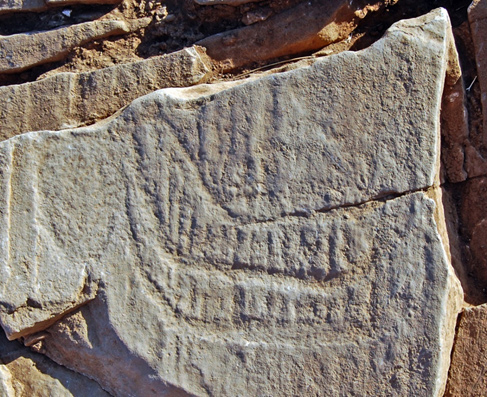 Strofilas in Andros is the most ancient city in Europe and dates back to 4,500 – 3,300 BC. The Unknown Sailor statue stands in honour of all seafarers who lost their lives in the sea. 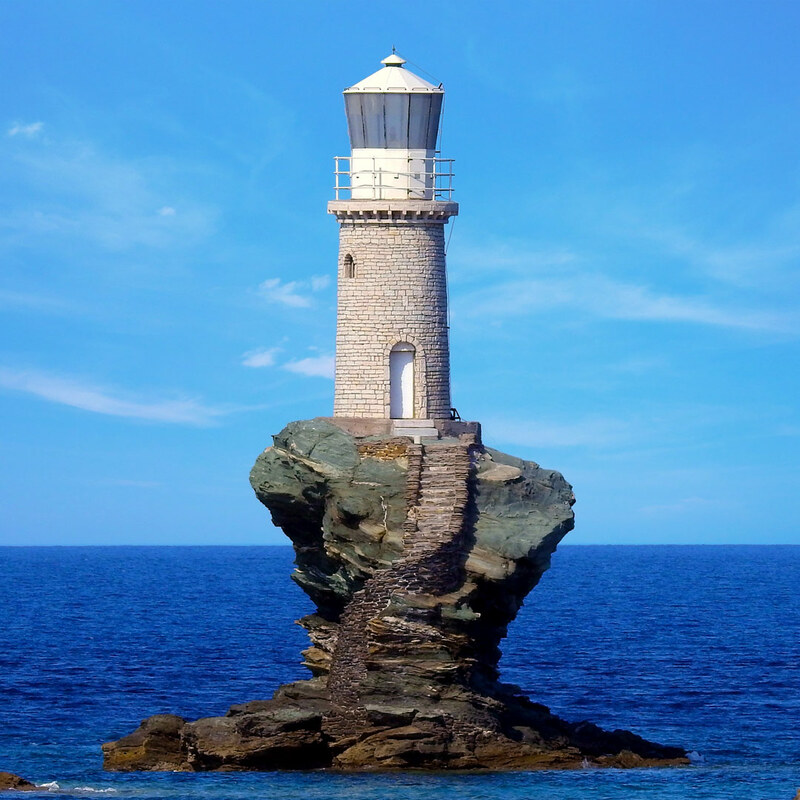 The Tourlitis Lighthouse in Andros Town stands on an islet and illuminates the route of seamanship for more than 120 years.